This charming storage bed is a beautiful and space-saving addition to any bedroom. Its elegantly curved headboard is adorned with two padded panels, giving it a comfortable, relaxing look. Its gorgeously turned front legs pair wonderfully with the dark finish coating its pine veneer, adding a touch of tradition to its lovely facade. 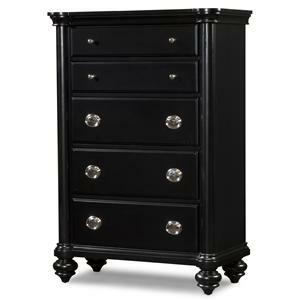 It features two drawers in the footboard, providing your bedroom with extra storage space. This, coupled with its stunning appearance, makes this bed an excellent choice for you home. This bed is available in queen, king, and California king sizes. The Danbury Queen Bed with Upholstered Headboard and Storage Footboard by Klaussner International at Powell's Furniture and Mattress in the Fredericksburg, Richmond, Charlottesville, Virginia and Maryland area. Product availability may vary. Contact us for the most current availability on this product. Drawer / Shelf Construction Drawers are French Dovetailed in the front and English Dovetailed in the back with metal bottom mounted drawer glides. Top drawers are felt lined. 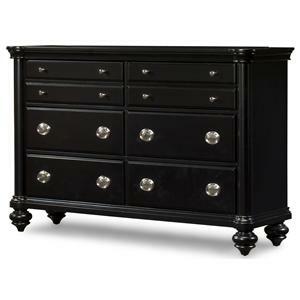 The classy, traditional style of the Danbury collection is a wonderful complement to any bedroom's decor. Stunning features add detail and character to each piece, making for a collection that is truly unique. 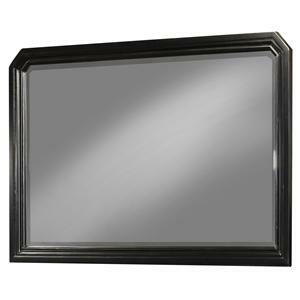 Its pine veneers are adorned with a rich black finish, ensuring that these brilliant pieces will never go out of style. 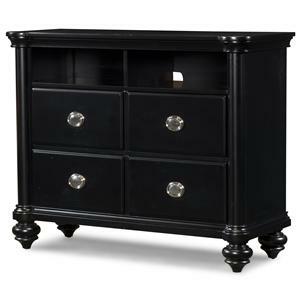 Polished chrome drawer pulls beautifully contrast the dark finishes, while gorgeous pilasters accentuate the classic look of this collection. 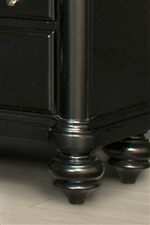 It also features English and French dovetailed drawers, felt-lined top drawers, and silver nailhead trim in some of the case pieces. 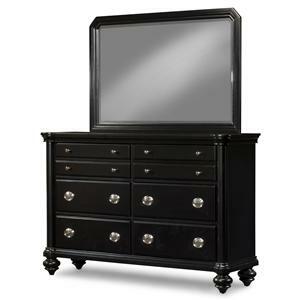 Included in this incredible collection are a bed, dresser, mirror, drawer chest, media chest, and night stand, allowing you to give your entire bedroom the sophisticated traditional style of the Danbury collection. 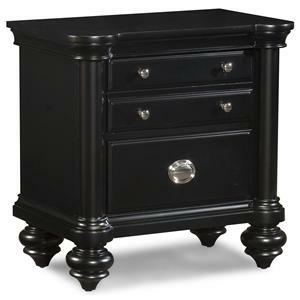 The Danbury collection is a great option if you are looking for Traditional furniture in the Fredericksburg, Richmond, Charlottesville, Virginia and Maryland area. 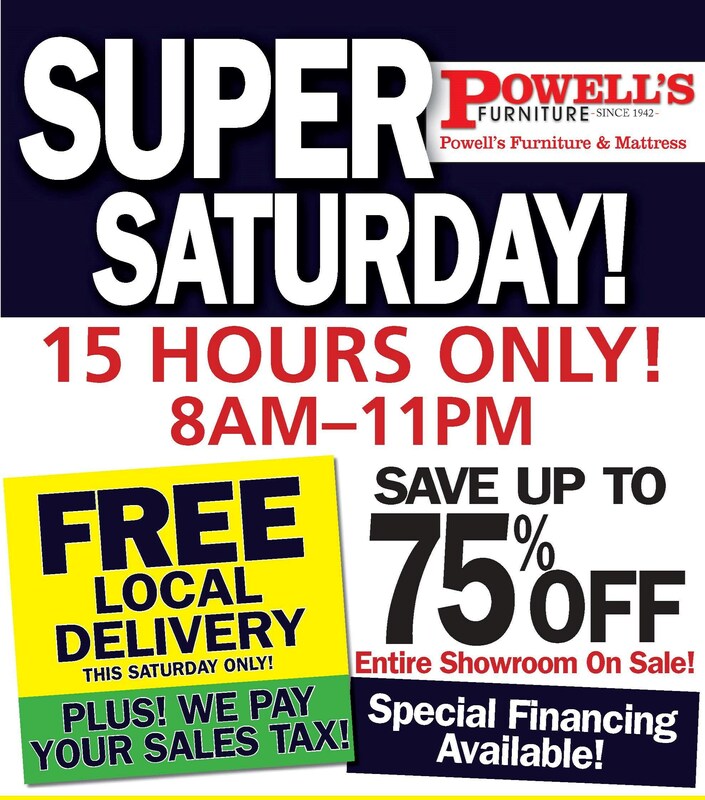 Browse other items in the Danbury collection from Powell's Furniture and Mattress in the Fredericksburg, Richmond, Charlottesville, Virginia and Maryland area.